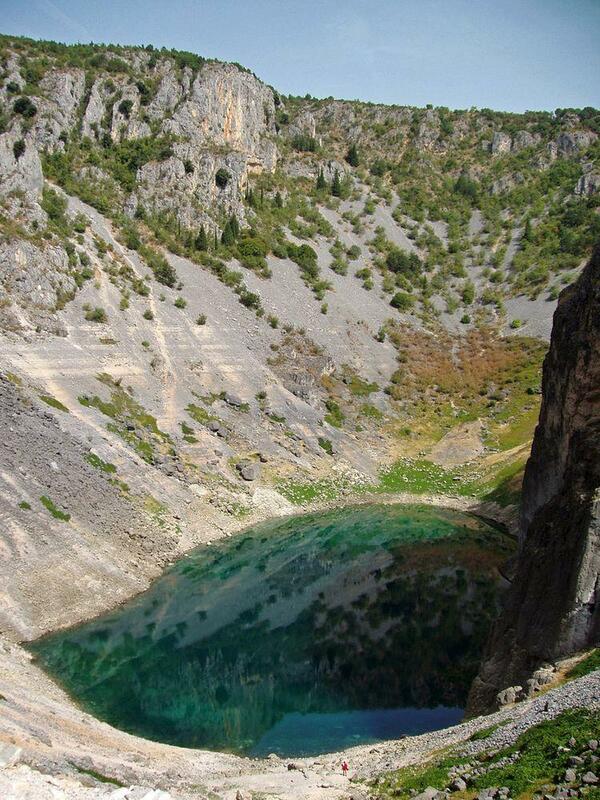 One of the most beautiful and interesting karst formations in Dinaric Alps is Modro Jezero – approximately 220 – 290 m deep sinkhole with beautiful lake on its bottom and vertical cliffs around it. Most likely this sinkhole formed after collapse of enormous cave hall. Not far from this sinkhole are other large sinkholes including one of the largest in the world – Crveno Jezero. Upper opening of sinkhole is approximately 520 m long and 280 m wide, 290 m deep. Volume – 22 million m³. Sinkhole has very steep sides – southern rim is vertical. For most part at the bottom of sinkhole is lake. Lake level is up to 342 m above the sea level (at high water). The lake is the most interesting feature of sinkhole. 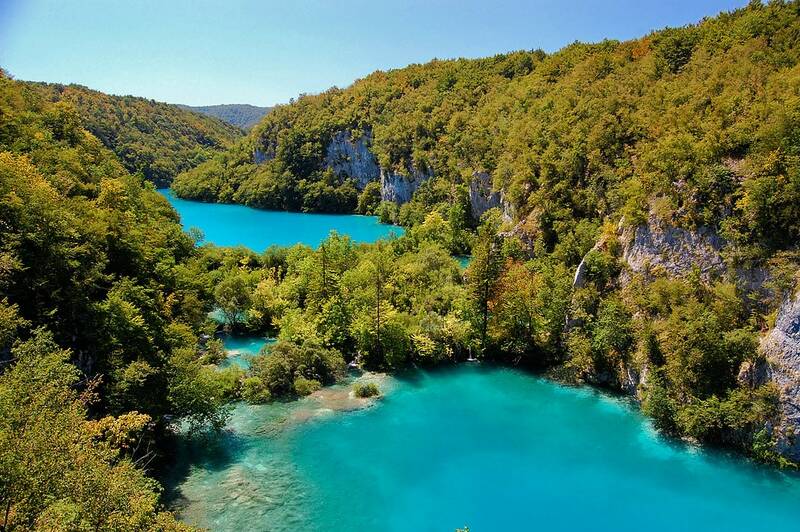 This beautiful blue-green lake in general is 800 x 500 m large. Level of this lake varies with the season and rainfall. In spring it can be up to 100 m deep but in summer – even totally dry with mud-filled holes in locations where water disappeared. 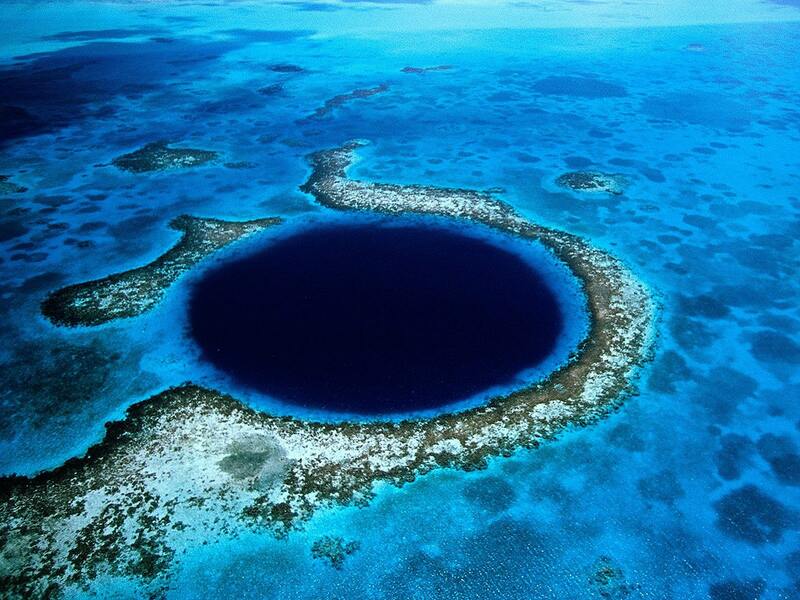 In 1914 the lake rose up to 114 m depth and started to flow over the southern rim of sinkhole. Earlier the lake was deeper – but earthquake in 1942 caused large landfall and thus reduced the depth of lake. Upper rim of surrounding cliffs rises some 220 m above the bottom of sinkhole. 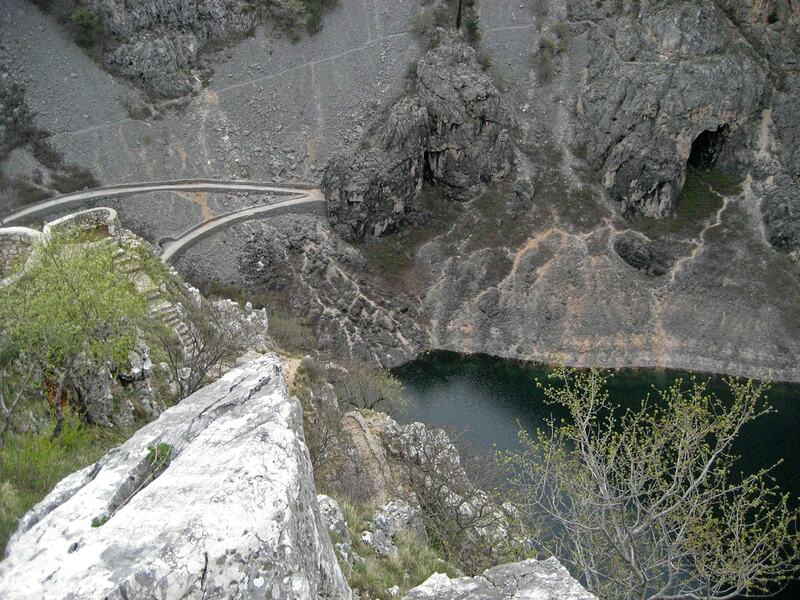 The intermittent level of the lake has formed several caves around it – Boškova, Golubova, Top, Vilinska. Boškova cave is hard to reach – it was used as a shelter during the World War II. The lake of this sinkhole is easy to access and thus it is popular swimming place. A road with breathtaking sights was built to the lake for the visit of Emperor Franz Joseph I in 1907. Since then the road has been repaired many times and is very busy in summer time. At high water level the lower end of this road is under the water. In the lake there are seen several notable boulders, which in a way serve for easy deterrmination of the lake level: Katavić, Jakićin, Pavić. When the 6 m tall Katavić appears, swimming season may start. Name of Jakićin is given to commemorate a man who drowned here in 1834 – this boulder marks the middle of swimming season. Pavić appears at the end of swimming season. Towering above the lake there is vertical cliff, where swimmers are jumping in the lake – some even from 40 m height. When the lake dries out, the flat bottom is used even for playing football – between the local teams Vilenjaci and Vukodlaci. Above the lake is towering ancient fortress – Imotski Fortress (Topana) – mentioned in written sources already in the 10th century, built around 845 – 864 AD. Imotski town developed around this fortification.